North Korean athletes selected to compete on inter-Korean teams at the upcoming Asian Games will arrive in South Korea on Saturday for joint training. Unification Ministry spokesman Baik Tae-hyun said Wednesday that a 34-member delegation will fly to the South via Beijing. The spokesman added that the North Korean delegation is made up of 18 canoeists, eight rowers, three female basketball players and their coach and four support staff members. The Koreas have agreed to assemble joint teams in dragon boat racing, women's basketball and rowing for the Asian Games in Jakarta and Palembang, Indonesia, which runs from August 18th until September second. 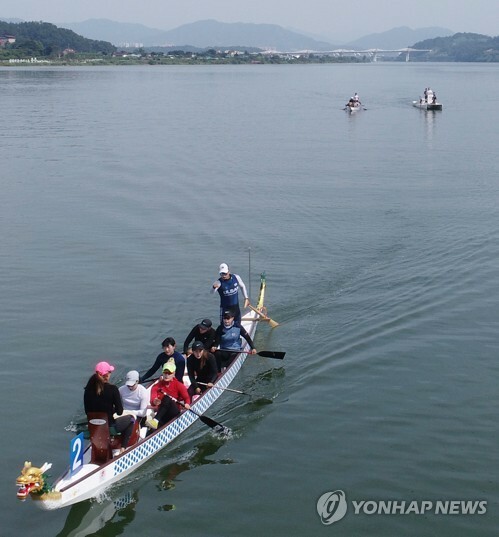 Earlier on Wednesday, the Korea Canoe Federation said that the North Korean rowers will begin training with their South Korean counterparts at Chungju Tangeum Lake International Rowing Center in Chungju on Sunday.